A typical whole life insurance policy won’t give you the high early cash value and long-term growth you need for Privatized Banking. As enticing as its certainty and control are to wealth creators, it’s not enough. You’ll need enhancements to convert your policy from a slow equity-builder into one that you can use quickly. Policy modifications are like custom upgrades on a standard model floorplan when you’re building a house. These design features make all the difference between an accumulation plan, and one you can actually use. In What Kind of Policy Do You Want, Part 1, we discussed the key elements: a dividend-paying whole life insurance contract with a mutual company that has guaranteed premiums, guaranteed cash value, and a guaranteed death benefit. Now it’s time to step it up a notch. 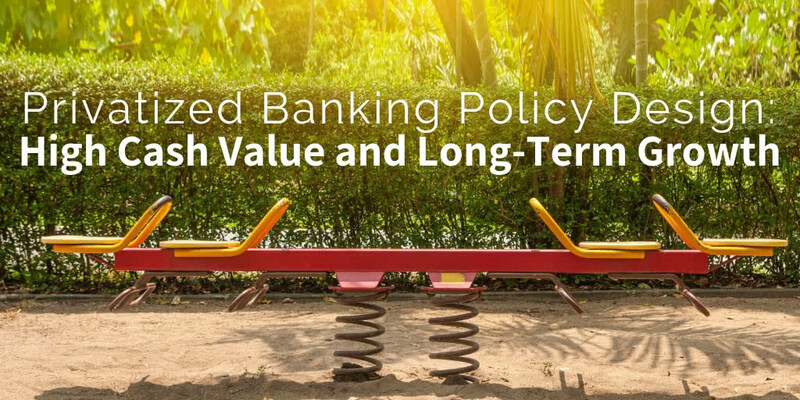 High cash value up front and long-term performance are highly achievable when you design the policy in a specialized way. This custom design includes specific funding ratios and high-performance custom modifications to a whole life policy. Why are you looking for a life insurance policy with high early cash value and long-term growth? You want to secure the advantages of safety and liquidity of your money while maximizing your growth rate. Your cash value won’t drop in value, and you can access it through policy loans. Because of this, you know that whole life insurance is an ideal place to store cash, allowing you to be the bank. You’re also grateful for the peace of mind that the death benefit offers. You are purchasing a net worth that will automatically self-complete when you die, even if you don’t get to live out your wealth creation. But rather than just setting it and forgetting it, you plan to use your life insurance policy while you’re alive. 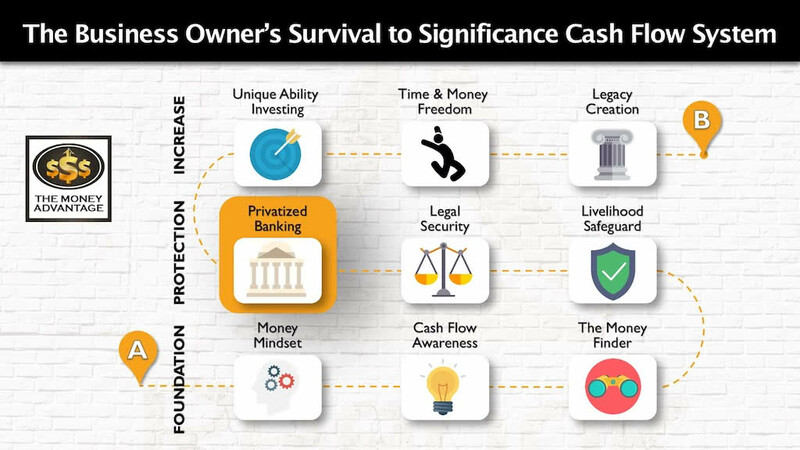 You want to use your capital along the way to invest in cash-flowing projects to accelerate your wealth creation in a process known as Privatized Banking. Instead of giving up cash each time you purchase another asset, you maintain control of your capital. Consequently, you reap the miracle of compound interest and earn a return in two places at the same time. This is why it’s important that you don’t just get a policy that builds cash value at some point. You want access to lots of cash value very early on in the policy. Today’s article will show you how that is possible. Today, we’ll show you how we fine-tune a life insurance policy to get it to peak performance. This is the secret sauce behind a Privatized Banking policy. It’s how we dress up a typical life insurance policy and transform it into the superhero version. How do I build up cash value quickly to invest in opportunities? What do I need to know so I’m not sidetracked with minor details? How do I make sure the policy fits me, personally? We’ll reveal the design of the ideal life insurance policy that serves you best right away, and for decades to come. 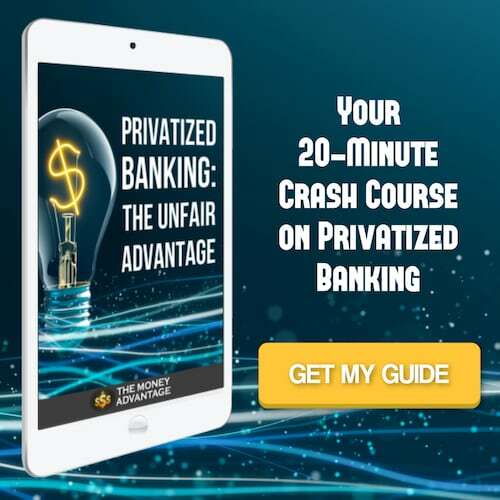 You’ll learn the three components of a Privatized Banking policy, what each achieves, how they work together, and the ideal funding ratio for high early cash value AND long-term growth. You’ll gain the framework to find a policy that’s sturdy enough to drive it hard and still last a lifetime. And, you’ll know how to get a built-in contingency plan to gracefully handle the unexpected, expanding the infinite capacity of this policy to serve you. We’ll also show you why some of the more technical elements that are often most talked about are relatively insignificant. You’ll see why they are a distraction, and instead gain the ability to focus on what matters most. Also, because life insurance doesn’t come as a one-size-fits-all, we’ll discuss the individualized element of life insurance. You may need changes, based on underwriting, health status, age, financial situation, and objectives. Privatized Banking is the how of keeping and protecting your money, and specially designed life insurance is the what. Funding a life insurance policy is a lot like capitalizing a bank. You first put money in, then you’re able to use and grow it. The money you put into life insurance is called premium. Cash value, like home equity, is the portion of the death benefit that you have access to use. For all whole life policies, the cash value will equal the death benefit at the age of endowment, usually age 121. However, policies have different rates of accumulation along the way. Some policies start out with a lot of cash value up front, and other policies have little cash value in the early years. For Privatized Banking, you want to come out of the gate with a lot of cash value, and not have to wait years for the trickle to amount to something. High early cash value is the liquidity of the dollars that you put into the policy. You could think of this like putting money into the bank. You deposit $50,000 into your local checking account, and almost immediately, you have access to write checks against the account, or cash out a value of up to the full $50,000. Money in a checking account is generally 100% liquid and available. However, some whole life policies have a slow cash value accumulation. If the cash value were illustrated on a graph, you’d see a very shallow angle at the beginning, with liquidity in the range of 0% in year 1, before cash value eventually rises to meet the death benefit. This would mean that your cash is not very liquid up front. 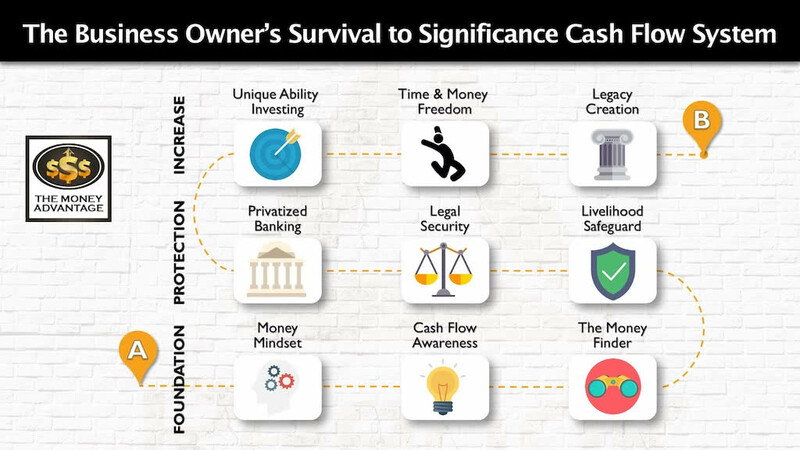 Other whole life policies accelerate the cash value up front, starting off with 50 – 70%+ liquidity in year 1, with the cash value continuing to rise over time. So, one of our ultimate goals in policy design is to deliver as much liquidity as possible right away. Another, equally important goal in policy design is to deliver the highest long-term growth rate. Long-term growth is the internal rate of return of your cash value and death benefit over time, compared to the dollars that you put in. For instance, if you put a total of $500,000 into an account, and in 30 years, the account total is now $750,000. The rate of return was approximately 1.36%. With a life insurance policy, growth is a direct byproduct of interest and dividends. Dividends are the declared profits of the company that are distributed to policyholders in a mutual company. Within a whole life policy, liquidity and growth usually have an inverse relationship. Like on an old-fashioned teeter-totter, when one goes up, the other goes down. To have greater liquidity, you give up growth. To maximize your growth, you’ll often sacrifice liquidity. On the one hand, you could fund a policy in such a way to produce maximum long-term growth, but give up access to your capital by accepting a slower cash value accumulation. On the other hand, you could opt for maximum up-front liquidity – access to almost all of the money you put in – and experience a lower growth rate over time. This tension causes us to seek and find the balance point that maximizes both benefits: the maximum cash up front and the most growth over time. 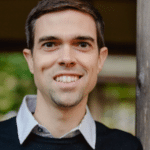 The way to get both liquidity and growth is in the special design of the funding structure. There are three types of premium you can put into a whole life policy. Each type accomplishes a different purpose and impacts the death benefit, cash value, and dividends differently. And, like a perfect combination of art and science, the levels of each can be adjusted to achieve different objectives. The first type of premium is called the base premium. This is the primary premium in a whole life policy. It establishes the death benefit, which will be different for each person based on their age, gender, and habits. Habits include lifestyle activities, career choice, health choices, genetics and their resulting conditions. For two people who each put $100,000 of base premium into their own policies, a different death benefit will be set for each, depending on their unique age, gender, and habits. These individual factors are taken into consideration by underwriting, which assigns a rating based on actuarial data of life expectancies. 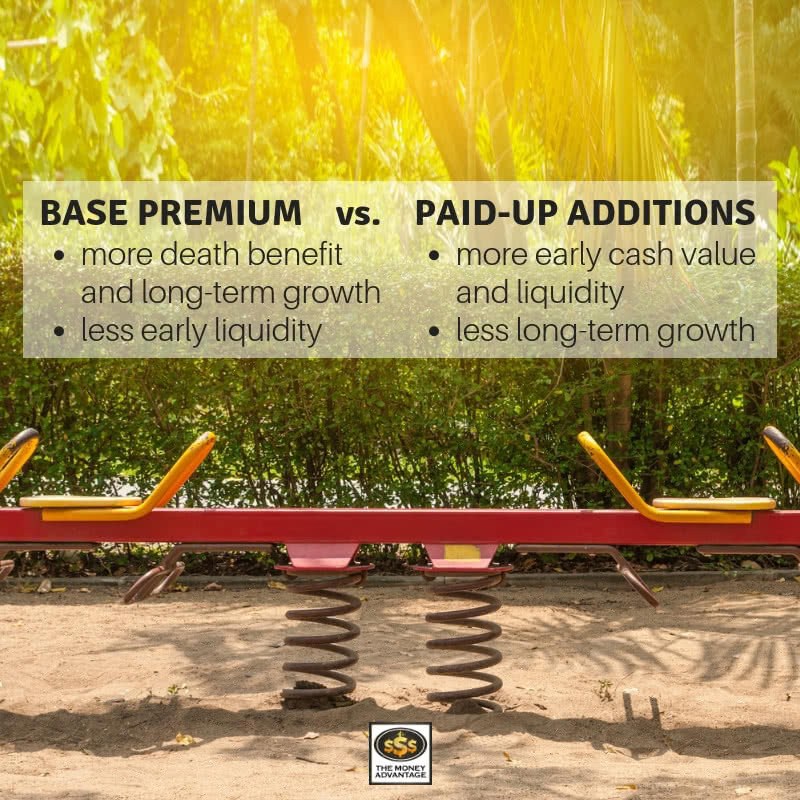 Base premium secures a lot of death benefit and the highest long-term growth through dividends. (We’ll go into more depth about this later on in this article.) However, base premium provides very little access to cash value up front. You can think of base premium as buying a house. Similar to paying mortgage payments to buy the house over time, base premium is buying the death benefit by making recurring payments. Over time, just like you build equity as you pay off a house, base premium builds cash value slowly. This is the driving reason why so many people believe that whole life insurance takes forever to build cash value. Many standard whole life policies are designed with all or mostly base premium, ramping up the death benefit, but giving access to very little cash value up front. With this design, there may be no cash value at all in the first year, and it can easily take 15-20+ years to really see significant cash value accumulation. The second type of premium inside a whole life insurance policy is called paid-up additions (PUAs). PUAs are a rider that allows you to put in more cash to accelerate the cash value. While PUAs do buy additional death benefit, they buy very little in contrast to base premiums. Paid up additions are premium payments you make to the insurance company that completely pay for a certain amount of death benefit. This means that for that portion of the death benefit, no more premium is due – it’s fully paid up. The benefit of using PUAs is that almost all of the cash you pay into the policy through PUAs becomes immediately available as cash value. Back to our real estate purchase example, you can think of PUAs as having bought a house, garage, or rental property. It’s fully paid for, with no future mortgage payments due. Like a house that’s paid for, free and clear, you immediately max out your equity. Whereas with base premiums, the cash value grows slowly over time, with PUAs, the cash value, or equity, is readily available. You may think, why not fund a policy with PUAs, and skip base premium altogether? Too much PUA’s and you turn your policy into a Modified Endowment Contract (MEC), losing your tax advantages. Secondly, you don’t want to overlook the value of having a robust death benefit equal to your human life value. While base premiums and PUAs make up the majority of your premiums, there’s one more type of premium that we need to discuss: the term rider. As with the PUA rider, we are discussing a rider, which is an addition onto your whole life policy, not a separate policy. This rider provides term insurance inside of the whole life policy to boost the death benefit to satisfy the MEC rules. Remember the Modified Endowment Contracts we’ve discussed briefly in What Kind of Policy Do You Use? The MEC rules are a set of actuarial rules that the IRS has placed on all cash value life insurance contracts. These rules require a certain death benefit to premium ratio for the policy to grow tax-advantaged. If your policy falls outside those rules during both a 1-year and a 7-year test, any growth above your cost basis (total premiums) will be taxed. There are occasions where what’s known as MEC’ing a policy is intentional, but for most purposes, you want to maintain the tax-advantaged growth. To bump up the death benefit to satisfy the MEC rules, we may increase the death benefit for the short-term with a term rider. This rider does have a cost. However, the cost is minimal to add significant death benefit. And, it’s worth it to pay for the peace of mind that you’ll continue to grow your money tax-advantaged. It’s also preferable that your term rider is convertible. Like with all term insurance, this portion of the policy is like renting insurance. You’re borrowing the death benefit for a timeframe. After that timeframe, the premium discontinues, and that portion of the death benefit expires. The term rider prevents the policy from MEC’ing, allowing you to maintain your tax-advantaged growth of the entire policy throughout its lifetime. To get the maximum cash up front and the most growth over time as well, we must find the right balance of premiums. Our goal is to find the ideal ratio between base premium and paid-up additions. The ratio between the type of premium you pay ensures you’re able to have your cake and eat it too. If we build a policy with mostly base premium, you’ll get the highest death benefit and best long-term accumulation of equity, but you’ll give up control and access to your money up front. If we build a policy with mostly PUAs, you’ll get maximum liquidity because of the immediate accumulation of equity, but you’ll give up death benefit and growth. Earlier, we said that base premium increases the performance of the policy over time, due to dividends. Let’s talk a bit more about why that is the case. Remember that dividends are part of the non-guaranteed part of a life insurance contract. On a policy illustration, you’ll see two sides, one for the guaranteed values, and the other for the non-guaranteed performance. The guaranteed portion will show the cash value growth, based on interest only. This is the minimum contractual value you’ll get if you fund the policy as illustrated. The non-guaranteed side will show the dividends being added to the policy as well, based on the current dividend rate for that company. When dividends are added to the guaranteed cash values, you get the non-guaranteed cash values. Although dividends are not guaranteed, the companies we work with have declared dividends every year for at least the last 100 years (one has done so for at least 170 consecutive years), even throughout the Great Depression and the Great Recession. Because of this track record of consistency, we say that they are highly likely to be paid in the future. Refer back to the last article in the series for a greater analysis on how dividends are derived and declared. Once declared, dividends are applied to individual policies using a complicated algorithm. You get more dividends on your base policy than you do on your PUAs. Another way to think about this is that the insurance company doesn’t pay as high a dividend on the highly liquid part of the policy. Once distributed, dividends are part of the guaranteed cash value. This sets a new floor so that cash value will never fall below that water line again in the future. Consequently, dividends are an important part of the overall performance of your policy over time. 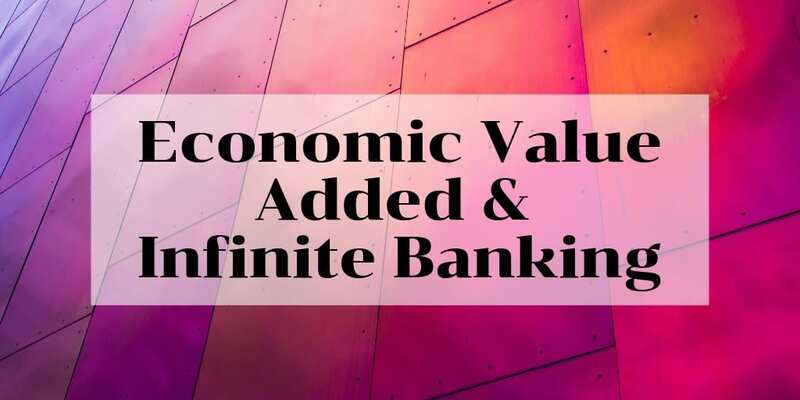 Through decades of experience and writing thousands of policies, as well as modeling the best design structure we’ve learned from the Nelson Nash Institute that pioneered the Infinite Banking concept, our team has found that equilibrium point. In general, the ideal funding ratio for a specially designed life insurance policy is 33% base premium, to 66% PUA, with a 1% term rider. This design gives you access to cash early, without compromising the ability for the policy to grow. For example, if I have $100K/year to fund a policy, $33K will be used for base premium, $66K for paid-up additions, and $1K for the term rider. This policy would then, dependent on underwriting, provide access to about 60 – 70% of the first year’s premium within 30 days. After allowing time for the check to clear and the policy to be delivered, I would have access to between $60K – $70K that I could use in other cash-flow projects. That being said, there isn’t a magic formula. The ideal ratio fluctuates from company to company, and between various products. If more protection is needed early, you may want more base premium. And yes, you’d give up some liquidity with that decision. It’s also possible to use a different product that enhances the death benefit in a different way, where a 50/50 or 60/40 split might be more advantageous. This is why it’s crucial to work with someone who has significant experience. Rather than being beholden to a specific formula, it’s more important that your advisor understand your needs and goals. They will be able to recognize the benefits you need first and then design the product around that. Then you, the owner of the Privatized Banking system, will get exactly what you need to accomplish your life goals and maximize your money. If your advisor knows nuances of policy design like the back of their hand, it will be second-nature for them to custom tailor a policy that’s exactly suited to you. 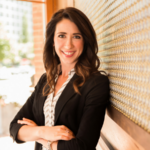 In addition to the funding ratios, other options play a key role in maximizing your policy’s performance and versatility. You have multiple options for how you choose to receive dividends once they are paid. You can use them to pay future premiums. Another option is to have the dividend sent to you as a check in the mail, as passive income. Or, you can direct the dividends to purchase more paid-up additions or more death benefit in the future. And finally, you could set dividends to simply accumulate into the cash value, without purchasing more PUAs. To have the greatest impact on your long-term performance, we usually recommend opting for your dividends to purchase additional paid-up insurance. This helps you grow your cash value quickly. It also increases your overall death benefit, which helps you accumulate more dividends in the future. Rolling dividends back into your policy by buying more paid-up additions gives you the full advantage of compound interest. You’re taking the existing policy plus the dividend, lumping them together, and then earning future dividends on the whole. Waiver of premium is an additional rider you can purchase, that improves your future options. With the waiver of premium rider, in the event of disability, the insurance company will continue to fund your policy. There are lots of options in the way this rider is executed, offering a great deal of flexibility. One option might pay future base premium only and not PUAs. You can also add waiver of premium to a term life insurance policy, sometimes with an option to convert to a permanent policy of the owner’s choosing, at the time of disability. We almost always recommend this rider as well. The rider does come with a cost, but the peace of mind is well worth the price tag. We often think of life insurance as being for when we transition from natural life to eternal life. But life insurance can also serve us tremendously if anything slows us down in the meantime. This provides relief and options for those who suffer through a disability before death. If you lose income due to disability, you will maintain the guaranteed cash value and death benefit, without being concerned about how to fund the policy when you don’t have the cash flow to do so. As we’ve discussed liquidity timeframes, you may be wondering, at what point do I have access to all of the money that I’ve paid into the policy? While this timeframe will vary from policy to policy, there are general expectations for a specially designed policy. There are two break-even points I’d like to illustrate. The first break-even point looks at a single-year window. This is the year that your cash value increases by more than you’ve paid in premium in that year. This usually happens around year 3 to 5. The second break-even point accounts for the cumulative premium you’ve paid over all of the policy years combined. This is the year that your total cash value exceeds the total premiums from all of your policy years combined. This usually happens somewhere between years 5 – 9, but may fall outside that window. For example, here are the actual numbers from a specially-designed policy illustration for a 42-year old female in excellent health. You’ll notice that the first single-year break-even point happens in year 4. In that year, she puts $30,000 into the policy, and her cash value increases by $31,604 in that year. The second cumulative break-even point happens for this policy in year 6. Here, the policy has been funded with a cumulative $180,000, and the total cash value is $183,633. For this scenario, we do use non-guaranteed values, because it accounts for the more realistic future values based on highly anticipated dividends. In both cases, after the break-even point occurs, all future cash value is upward growth that you can access. 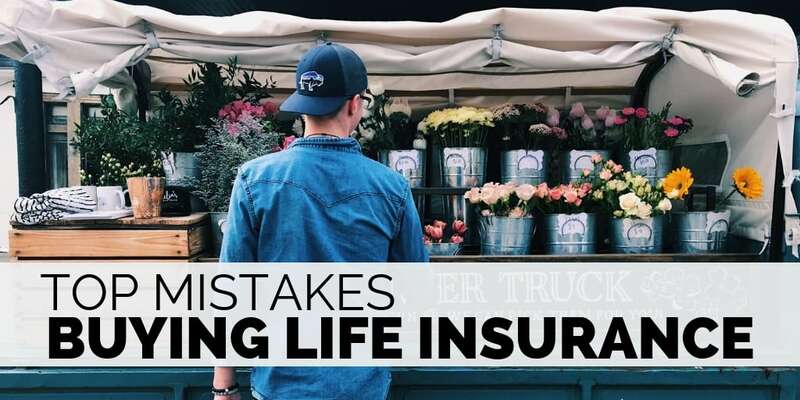 When it really comes down to the essentials, here’s what’s not negotiable in getting your life insurance policy: Make sure you have guarantees. You need to have your policy with a strong, reputable company. And it’s critical to fund it in a way to maximize early cash value and long-term growth. Don’t get swept up in the petty dialogues that major in the minors. Here are a few you should know about, and why they aren’t really that important. If you compare two life insurance illustrations from different companies, chances are, one of them will show higher dividends. But just because illustrated dividends are higher this year doesn’t mean that they will stay higher over time. Illustrations show this year’s dividend rate, projected out every year over the performance of the policy as a portion of the non-guaranteed policy growth. The actual dividend paid out each year fluctuates. It doesn’t map directly to the projections because it is based on real-time company profits. Some companies have a long history of falling within dollars of their forecasts. Other companies miss their projections by hundreds or thousands of dollars per year. The illustrated dividend isn’t a perfect picture of how the policy will perform. In addition, one company may illustrate higher dividends this year compared to another company. But the following year, they may switch roles. Over time, these calibrations average out among the A-player insurance companies. Over time, dividends will be very similar from company to company. The fact is that all good insurance companies protect your money and require contractual guarantees into the future. Because of their 100% reserve requirement, they must have money in reserve to pay out the death benefit and loan requests. Rather than comparing dividend rates to determine which company to use, focus on the access and control of your money. One of the best ways to access your cash value is to take a loan against your cash value. You use your cash value as collateral and keep your money compounding and growing with dividends and interest. Life insurance companies have two different ways of treating loans against your cash value when they pay you a dividend. Non-direct recognition companies do not recognize a loan when paying a dividend. They always pay the same dividend rate whether you have loans against the policy or not. You may have $100K of cash value with no loans. Or, you may have the same policy with an $80K outstanding loan and access to only $20K. In either case, the full $100K receives the full dividend, whether or not you have an outstanding loan. In a direct recognition company, you receive a higher dividend on available cash value, and a lower dividend on the portion you’ve borrowed against. So, if you had $100K of cash value, with the $80K loan against the policy, you may receive a 6% dividend on the available $20K, and a 5% dividend on the $80K. Non-direct recognition companies will often show a lower dividend rate than direct recognition companies. However, the non-direct company will uphold the same rate no matter how much you utilize your policy. On the other hand, direct recognition companies will often illustrate and show a past history of paying out slightly higher dividends but will bump it down for the portion of your cash value you’ve leveraged. Don’t worry about hair-splitting here. If you plan to utilize your policy, over time, both types average out to about the same position. It’s much more important to look at the other attributes of the company you’re doing business with. To get the most cash value early, and still maximize the internal rate of return of your money over your lifetime, you need a specially designed policy. This policy starts with a dividend-paying whole life policy with a reputable mutual insurance company. It’s then designed with a mix of base premium, paid-up additions, and a term rider to accelerate your access to cash value up front. And you’ll want to add the waiver of premium rider to ensure your policy will self-fund in the event of a disability. This way, you can use your policy right away and maximize your policy’s performance over time. Specially designed insurance is the solid foundation that you need to be able to maximize the Privatized Banking function of the policy to invest in other assets for cash flow and accelerate your path to time and money freedom. And no matter how good a product or design may be, there’s no “one-size fits all.” Modifications and alterations are needed, depending on your age, health, the way you want to utilize your policy, the length of time you want to fund the policy, and how much premium you have to put into your Privatized Banking system. This is the reason you shouldn’t try to DIY and educate your life insurance agent. Make sure you are working with someone who already understands what you want to accomplish and can best help you achieve long-term success. You can use these guidelines to go down the straight and narrow to get a policy that you can use. Or you can take shortcuts and accept run-of-the-mill policies that will end up costing you more in the long run. If you’re shopping for your first Privatized Banking policy or adding on another policy, you have the framework to go from overwhelmed to crystal clear on exactly what you want. You’re able to make decisions quickly and easily, knowing how to focus on what’s most important. If you’re wishing you knew this a long time ago, and you already have a different type/design of life insurance, don’t worry. It’s not always a good idea to throw in the towel and start from scratch. Let us help you through a strategy to take the next best steps, starting from where you are. Every person’s story, path, journey, and outcomes are different. How you start, fund, and use your Privatized Banking system will look different from person to person. You might have great income, but limited cash flow, and need to free up cash flow first. Or, if you’re already saving each month, you may want to get higher, tax-exempt growth, and greater accessibility. We can help you determine how to implement this strategy to improve every area of your financial life. No matter where you are today, book a Strategy Call with us to find out the one thing you should be doing next to accelerate time and money freedom. I am interested in a pursuing a SDLIC for my family. Could you please give me a call so that we can discuss what your organization can do for my family.